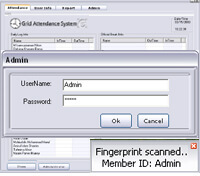 Bio-SnapON™ is a complete biometric software system that can be instantly “snapped-on” to any Windows or web software, without any code-level development. The solution leverages our award-winning Hybrid Biometric Platform™ technology, which supports fingerprint, finger vein, palm vein and iris biometrics. 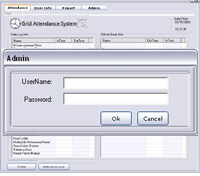 One of the most popular uses of Bio-SnapOn™ is to add biometric recognition to PC-based time clock software to eliminate the costs associated with “buddy punching.” When Bio-SnapOn™ is interfaced with time and attendance software, employees must scan their finger, palm or iris to clock in or out. QUESTIONS? NEED MORE INFO? Fill out our sales form and an account executive will quickly respond.